Last night Councilman Peter Cunningham held his first campaign event for reelection in the fifth ward. He's facing off against the Russo faction candidate Eduardo Gonzalez running on the Carmelo Ticket. 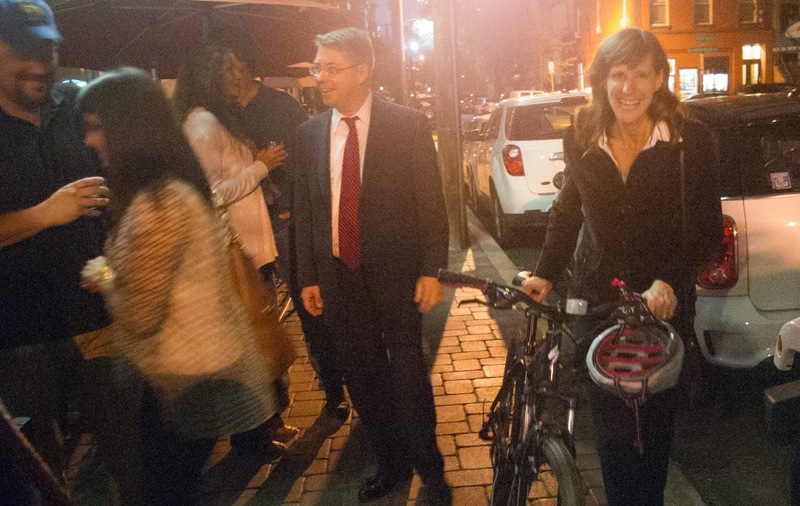 Mayor Dawn Zimmer arrives for Councilman Peter Cunningham's campaign event outside the popular Anthony David's restaurant at 10th and Bloomfield last night. She joined an overflow crowd of about two dozen supporters who came to hear the popular anti-corruption Councilman state his case for reelection.